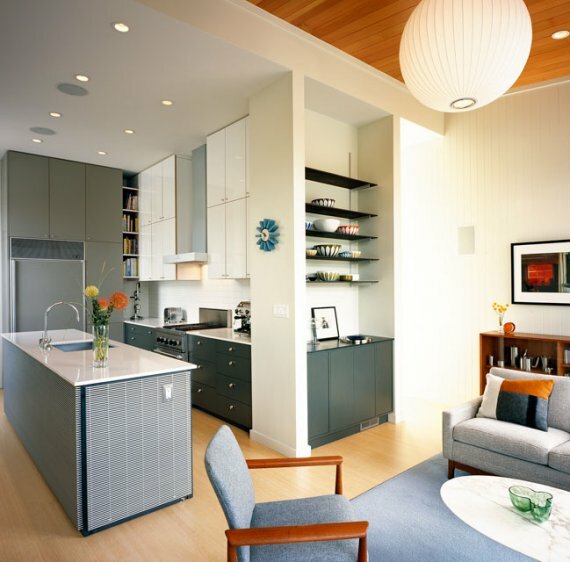 San Francisco based John Lum Architects contributed their design skills to this contemporary home renovation in the Eureka Valley area of San Francisco. The dry-rotted back porches of this 1890’s two-flat Edwardian building were completely rebuilt and expanded to create great rooms for each unit with newly remodeled kitchens. The result is a delightfully sunlit-space that relates to the existing Edwardian architectural detailing while providing an appropriate backdrop for the client’s mid-century Scandinavian furniture collection. Bead board clads the wall, with fir on the ceilings, lending warmth to the sitting area while contrasting with the steel-clad fireplace. 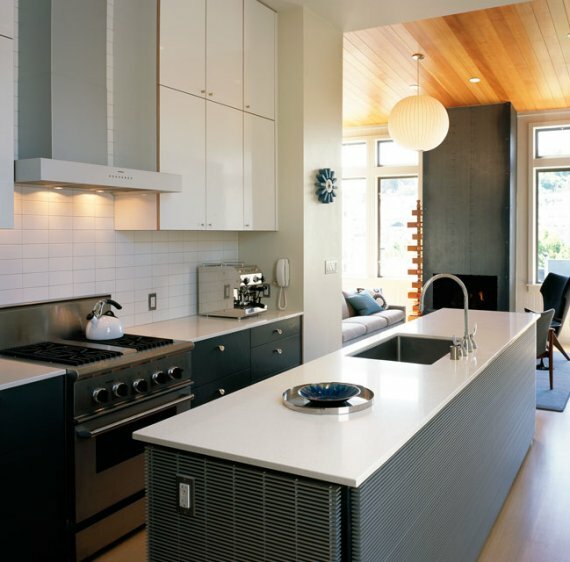 The new kitchen features an eclectic mix of aluminum grating, white quartzite, hi-gloss plastic laminate over finn ply cabinet doors, stained ash veneer, and matte-white brick tiles; a traditional nod to an otherwise modern composition. Visit the website of John Lum Architecture – here.